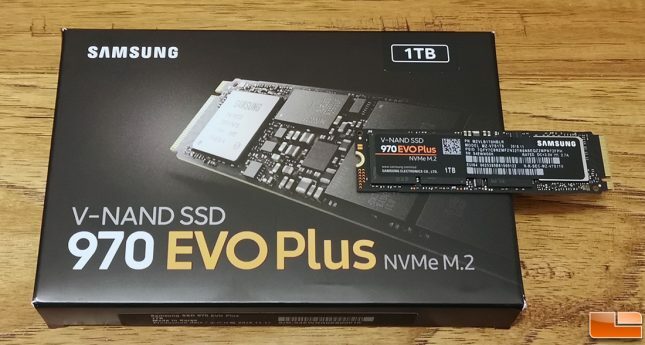 The Samsung SSD 970 EVO Plus was released this morning and features the latest fifth generation Samsung V-NAND with optimized firmware for even more performance. 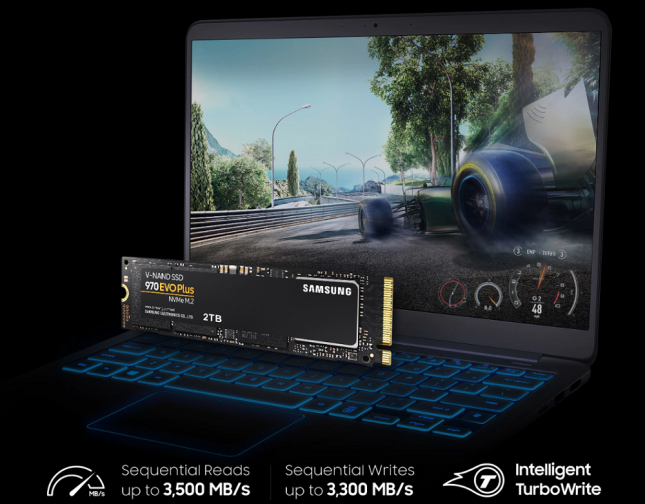 The Samsung SSD 970 EVO Plus is available in 250GB, 500GB and 1TB capacities right now with a 2TB capacity model coming out in April 2019. Performance on the 970 EVO Plus series is impressive with sequential read and write speeds of up to 3,500 MB/s and up to 3,300 MB/s, respectively. Random 4K performance is also strong at up to 620,000 IOPS for read and up to 560,000 IOPS for write operations. 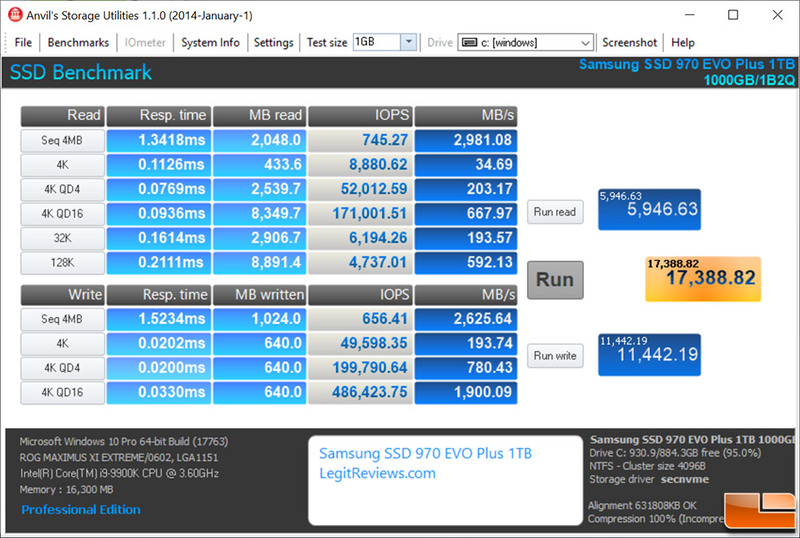 That means the Samsung SSD 970 EVO Plus has up to 53% higher write performance than its predecessor, the 970 EVO. 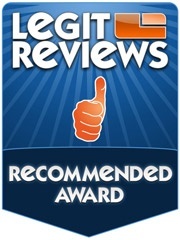 It also meets or exceeds the performance numbers on the mighty 970 PRO that uses 2-bit MLC V-NAND. What will the Samsung SSD 970 EVO Plus series cost? The 970 EVO Plus 250GB drive is $89.99, the 500GB model is $129.99 and then the 1TB capacity drive is $249.99. That puts pricing at $0.25 to $0.26 per GB on the 500GB/1TB models and at $0.36 per GB on the base 250GB drive. Samsung has not disclosed the pricing for the 2TB capacity drive that is coming out in April. These suggested retail prices are impressive considering the current Samsung 970 EVO 1TB drive is $279.99 shipped and the 970 EVO 500GB is $129.99 shipped. 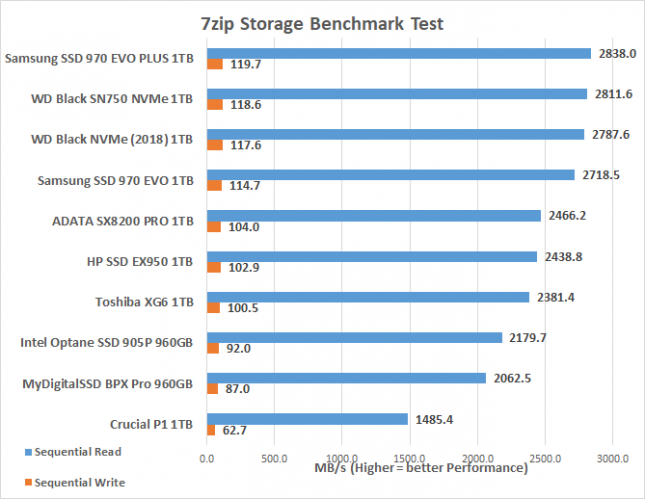 You are getting much better performance with the 970 EVO Plus series at what appears to be lower prices for some of the capacities. The Samsung SSD 970 PRO 512GB drive is $167.99 shipped and the 1TB drive is $399.99 shipped, so the EVO Plus series packs some series bang for the buck and is still the value play for enthusiasts, gamers or just anyone looking for a high-performance NVMe storage solution. 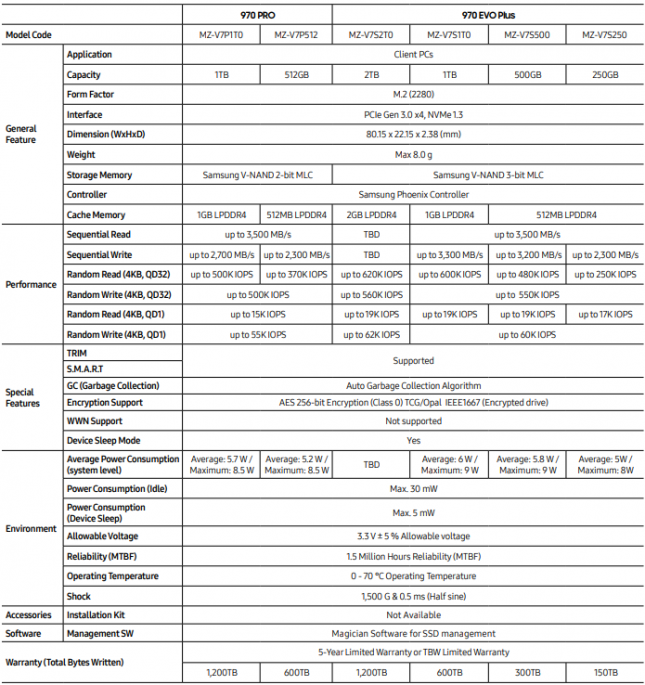 Speaking of the 970 Pro, here is a product features and highlights table that shows the technical specifications for the 970 PRO and the 970 EVO Plus. Both drive series use the same Samsung Phoenix Controller, have encryption support and are backed by a 5-year warranty. The key difference is the V-NAND and firmware used and that changes the performance, power consumption and endurance ratings. Note that the 970 PRO has twice the TBW endurance warranty rating when looking at comparable capacity drives. Samsung fifth-generation V-NAND 3-bit MLC has more than 90 layers, a Toggle-mode 4.0 DDR4 interface and is capable of running at 1.4-gigabits per second (Gbps), a 40-percent increase from its 64-layer predecessor. 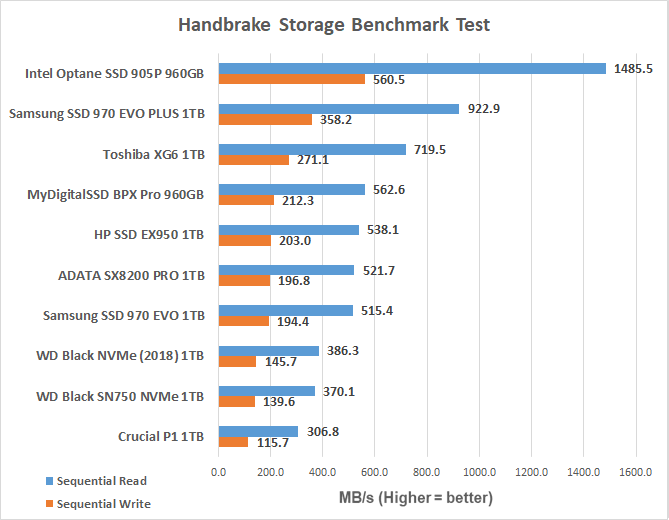 The new V-NAND also has the fastest data write speed to date at 500-microseconds (μs), which represents about a 30-percent improvement over the write speed of the previous generation, while the response time to read-signals has also been reduced. Despite the higher speeds, energy efficiency of Samsung’s new V-NAND remains comparable to that of the 64-layer chip, primarily because the operating voltage has been reduced from 1.8 volts to 1.2 volts. Samsung sent over the 970 EVO Plus 1TB NVMe drive for Legit Reviews to try out. The retail packaging and drive looks very familiar and that is because it takes after the packaging of the other 970 series drives. To test out performance on the WD Black SN750 series I’ll be using an Intel Core i9-9900K processor on the ASUS Maximus XI Extreme (Intel Z390) motherboard. The system has 16GB (2x8GB) of DDR4 3200MHz memory and is running Windows 10 Pro 1809 with all available updates. 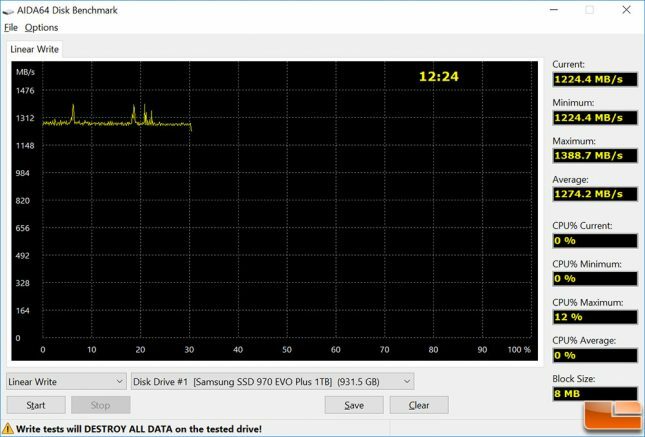 We should point out that all of our testing has been done with Windows 10 Pro v1809 installed and the Samsung SSD 970 EVO Plus 1TB drive as the primary drive. The first benchmark that we ran was Anvil’s Storage Utilities with the default Windows 10 NVMe driver and we got a score of 17,012 on the overall SSD benchmark. 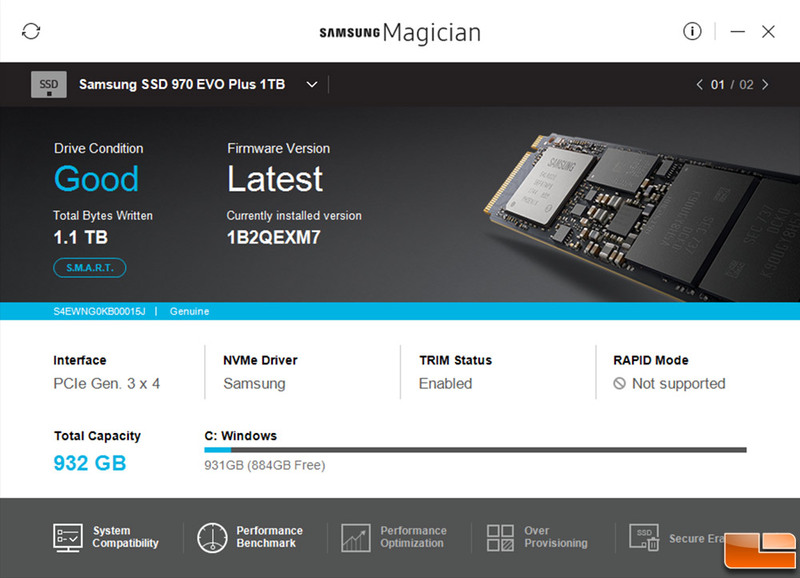 We then downloaded Samsung NVMe Driver Version 3.0 and installed that to see if performance would change. Indeed, we got a slight improvement on some of the key read/write tests and that helped bump the overall score in this benchmark up to 17,388 points. Since we were getting higher scores with the Samsung NVMe drivers we left them on system and continued benchmarking. Next we ran CrystalDiskMark 6.0.2 and we hit speeds of up to 3,565 MB/s read and 3,328 MB/s write for sequential performance. That is pretty much spot on with the drives rated speeds of 3,500 MB/s read and 3,300 MB/s write. The Random 4K QD1 performance with 1 thread was 56 MB/s read and 261 MB/s write. We also ran ATTO Disk Benchmark and it showed that we were getting speeds of up to 3.26 GB/s read and 3 GB/s write. Very solid scores! When it comes to more real-world workloads we found the Samsung SSD 970 EVO Plus 1TB drive to be able to perform better than the 970 EVO in all of the benchmarks by varying degrees thanks to the new V-NAND and firmware optimizations. The largest performance gain was found on the handbrake encoding test as that nearly doubled and is likely due to the firmware tweaks. One of the most important tests for many of our gamer audience is game load times. 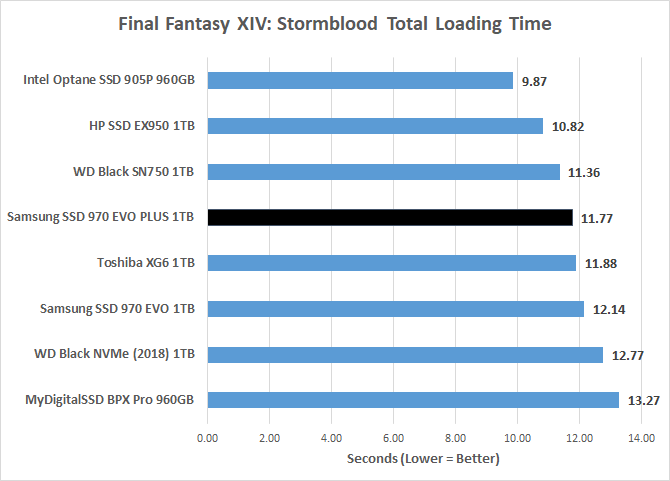 For this test we ran the Final Fantsy XIV: Stormblood benchmark with default settings at 1080P with a discrete graphics card in the system. 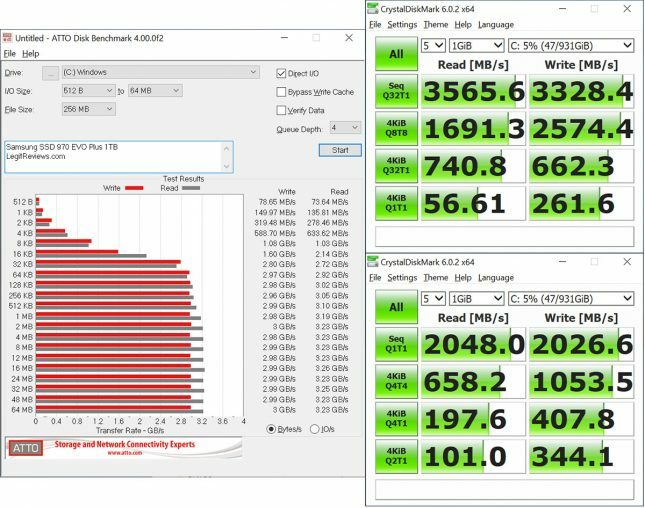 The Samsung SSD 970 EVO Plus 1TB drive performed in the middle of the pack of fellow 1TB NVMe drives with the WD Black SN750 1TB, HP SSD EX950 1TB and Intel Optane SSD 905P 960GB drives being the only that we have tested to date that are faster. 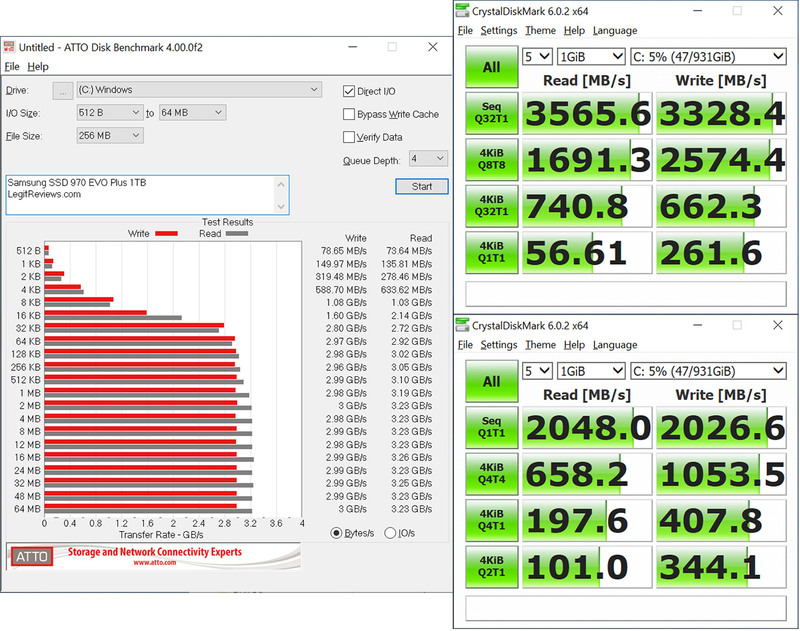 Lastly, we ran AIDA64’s Linear Write Disk Benchmark to really hammer the drive and see how Intelligent TurboWrite technology that was first introduced on the 970 EVO handles this workload on our freshly secure erased drive. After writing 300GB of data to the 1TB review sample with 8MB block size we averaged roughly 1275 MB/s for the entire duration of the test. That should be plenty fast for 99% of PC users. It looks like we were getting after TurboWrite performance numbers according to the table Samsung provided us (below). It should be noted that the amount of SLC cache varies for each 970 EVO Plus drive, so this is an added perk of going up in drive size. Samsung delivers the complete package when it comes to SSDs as they design everything on the 970 EVO Plus storage drive in-house. 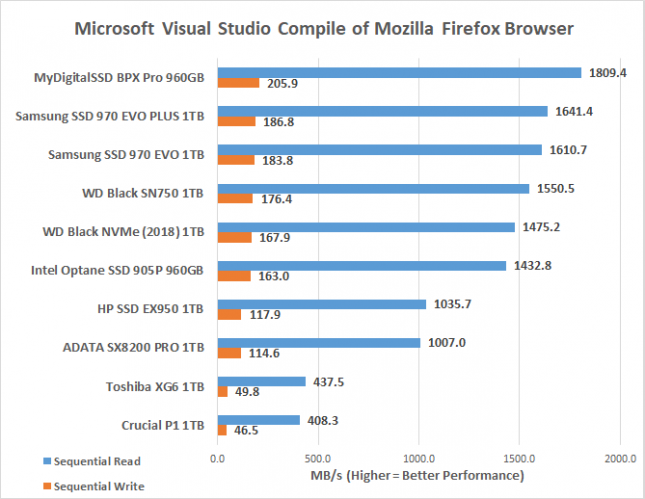 By creating both the hardware and software it allows them to not only get the most performance from the drive, but also offer good NVMe drivers and software. The user experience with the Samsung SSD 970 EVO Plus is among the best that you can get thanks to this. After installing the drive, driver and Samsung Magician SSD management utility you’ll know your system is dialed in and you are in control. Users also have free access to Samsung Data migration software if you need to transfer the OS, applications and user data from your old storage device to your new Samsung SSD. Samsung offers one of the most complete user experiences around and that is one of the reasons that Samsung drives carry a price premium as they are number one in sales. When it comes to pricing the Samsung SSD 970 EVO Plus 250GB drive is $89.99, 500GB goes for $129.99 and the 1TB capacity drive is $249.99. Those prices are slightly higher than competing drives, but they aren’t too crazy. The HP EX950 1TB is $229.99, the WD Black SN750 1TB is $249.99 and the MyDigitalSSD BPX Pro is $189.99. The Samsung SSD 970 EVO Plus 1TB drive will still sell just fine at this price point due the Samsung brand name, loyal customer base and so on. If you are looking for an enthusiast-class NVMe drive we certainly would give the SSD 970 EVO Plus drives a closer look. It has strong performance (3,500 MB/s read and 3,300 MB/s write) in our canned performance benchmarks and finished in the top three drives in our real-world workloads. The 5-year warranty and fair TBW endurance ratings for the Samsung SSD 970 EVO Plus also give you peace of mind. Legit Bottom Line: The Samsung SSD 970 EVO Plus drive series offers impressive performance thanks to using the latest V-NAND and firmware optimizations!